For centuries, art has inspired poets and poetry, especially in the eighteenth and nineteenth centuries. 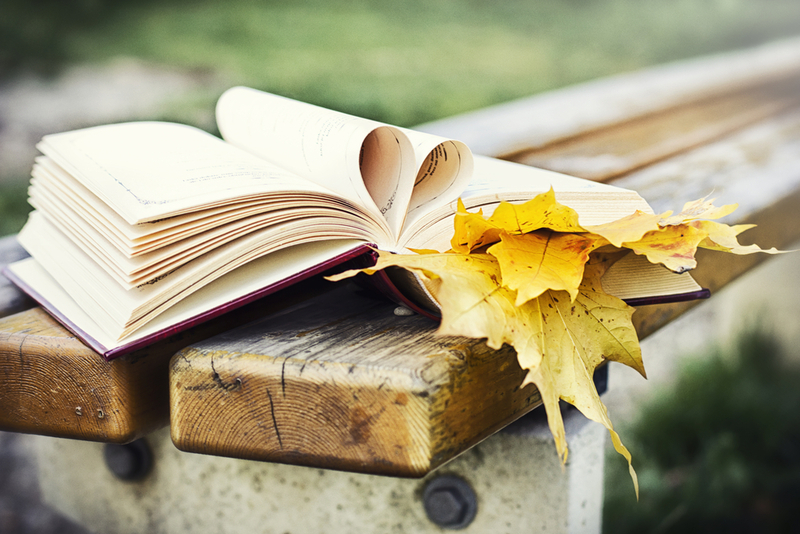 Some might say that ever since both art and poetry existed, they have inspired each other. In both art forms, you receive something from it, usually some kind of emotion or an expression. They have an immediate effect of being able to take you away from where you are. For instance, much of David Hockney’s work has been inspired by poetry. The first writer to appear in his art was Walt Whitman. 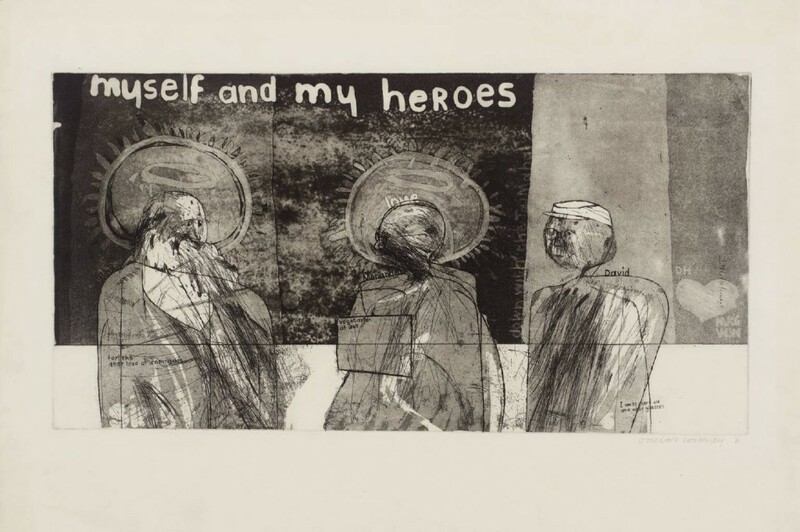 David read his poetry in 1960 and in the 1961 etching Myself and My Heroes, Whitman appears as one of the two figures standing beside the young Hockney (the other is Gandhi), along with the words ‘For the dear love of comrades’ from Whitman’s poem. 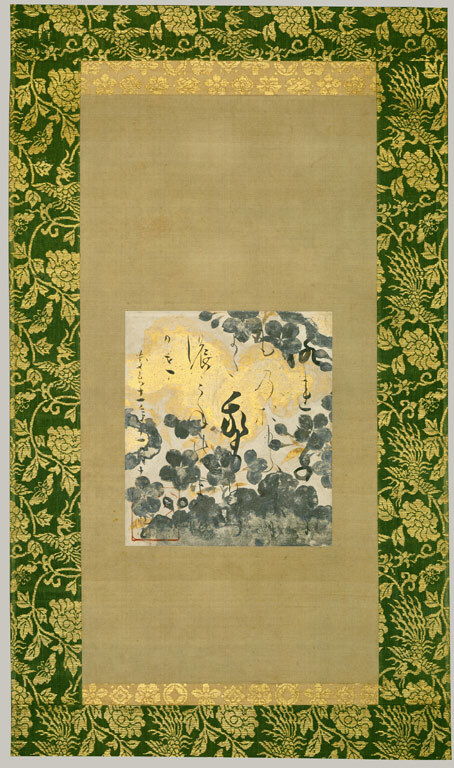 There are many works of art where poetry is written on the painting or other piece of art, such as this East Asian piece below. The calligraphy they use is a visual art form, making a clear connection between the two art forms immediately. Likewise, art can inspire poetry. Poems inspired by art are called Ekphrastic poems; they are vivid descriptions of a scene, or more commonly a piece of art. They reflect on an action of a painting and many poets will expand on the meaning. 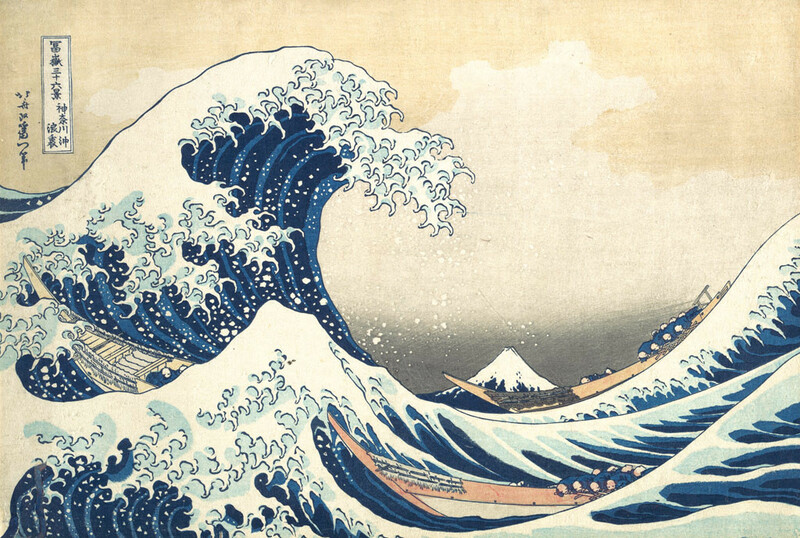 One example is The Great Wave at Kanagawa by Hokusai. The poems that have been written about this artwork tend to focus on the tension. In this piece of art, you have a tiny mountain with a huge towering wave that is poised to crash. This can seem frightening to some, and individuals will take different meanings from it. 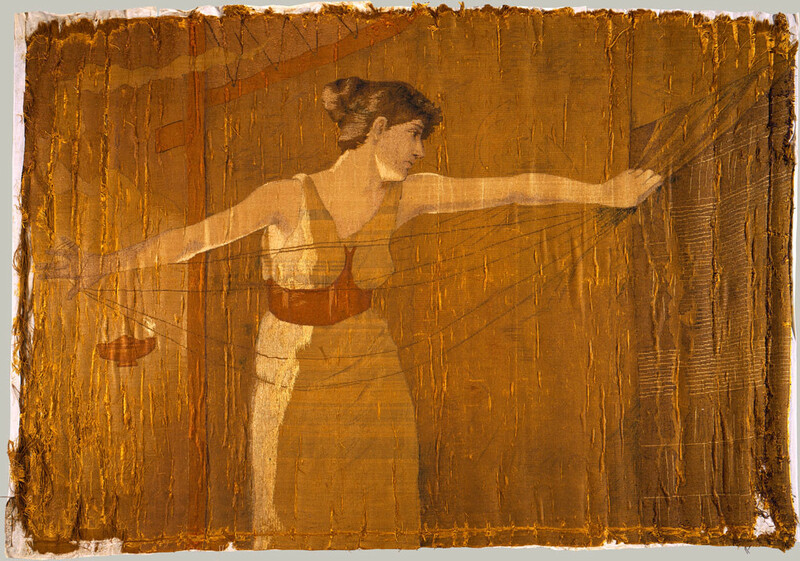 Penelope Unraveling Her Work at Night is based on the major ancient Greek epic Homer’s Odyssey. Penelope is taking apart her weaving so that she can keep suitors at bay as she waits for the return of her husband. Dora created this design of Odysseus’ faithful wife Penelope while studying painting in Paris. The piece has now faded and the fibres have started to unwind – the work itself is unravelling which adds something special to the artwork. 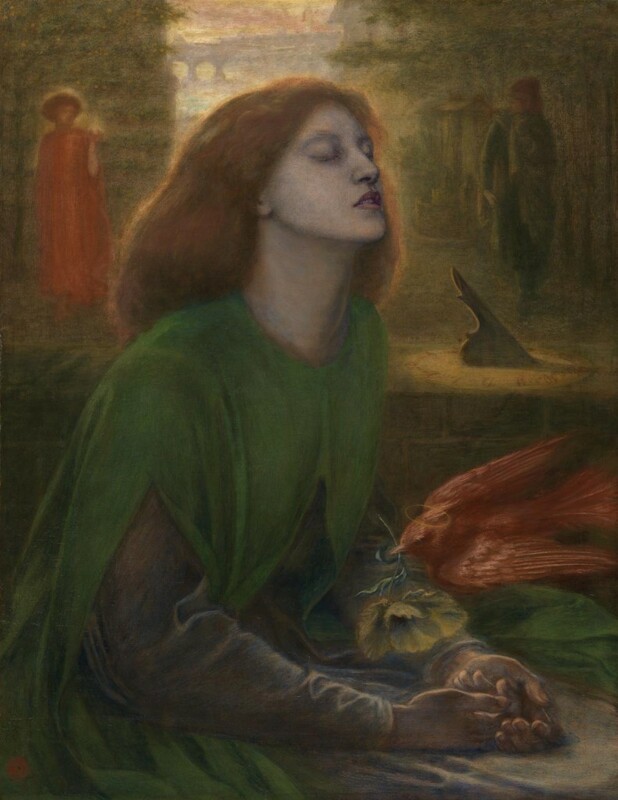 In Beata Beatrix by Dante Gabriel Rossetti, he draws a parallel between the Italian Poet Dante Alighieri’s despair of the death of his beloved Beatrice and his own own grief at the death of his wife Elizabeth Siddal, who died eight years earlier. The art is inspired by the story of Dante’s unrequited love and subsequent mourning for Beatrice Portinari in the poem La Vita Nuova. The original poem was written in 1295 and Rosetti painted it in 1870 after translating the poem and publishing it. Many other writers and artists have commented on the parallels between the expression of art and poetry throughout the years. In Plato’s The Phaedrus, he observes that when paintings and poems are put together, they ‘seem to talk to you as if they were intelligent’. Do you have a favourite piece of art that has been inspired by poetry? Let us know in the comments.